Home » Archiv » English » File Sharing » Will new laws on unfair trading practices protect against file sharing warning letters? Will new laws on unfair trading practices protect against file sharing warning letters? 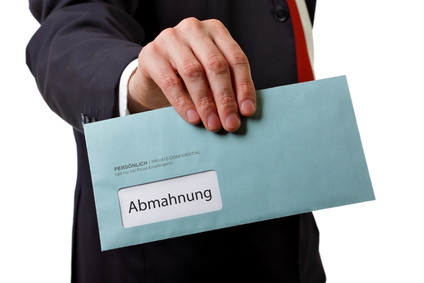 Questions have been raised about whether proposed changes to unfair trading laws in Germany will bring an end to the wave of file sharing warning letters sent every year. Whether the German government will achieve its aim of protecting consumers from exaggerated warning letters is in doubt. The so-called Improper Business Practices Act currently foresees that claim values in file sharing case will be capped at €1,000 (see § 49 sub-paragraph 1 BT-Drucksache 17/13057). The cap will apply to cases where the recipient of a warning letter is an individual who dooes not use the copyright-protected work for commercial purposes or in a self-employed capacity. Furthermore, a copyright holder will only be permitted to pursue those persons who have not already received a copyright infringement warning letter and have therefore not already submitted a declaration to cease and desist. A further important exception is that the cap of €1,000 on claim values will only apply if it is reasonable. As a result, each case must be assessed on its own merits to establish the gravity of the alleged copyright infringements. The proposal, and in particular the reasonableness exception, was rightly criticised by opposition political parties in the German parliament. The fear for recipients of file sharing warning letters is that, as is the case with the current “cap” on claim values contained in § 97a of the Copyright Act, the warning letter industry and the courts will reverse the rule and exception so that the cap on claim values will become seen as unreasonable. Protection against improper business practices: is this the end of the file sharing warning letter?